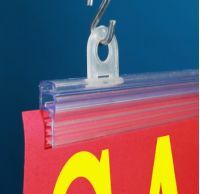 Ceiling Sign Holders | In-Store Visual Communications | Clip Strip Corp.
Our Ceiling Sign Holders are made up of Banner Hangers, Mobile Style Sign Holders and the required Hanging Accessories you would need to display from above at retail, in a business, schools, hospitals and more. 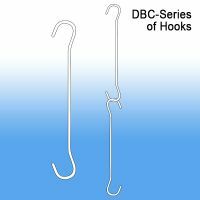 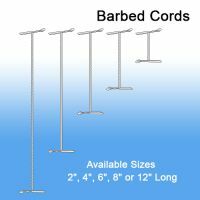 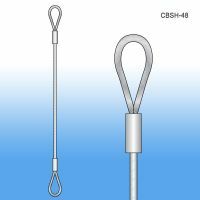 These accessories include Hooks, Cables, Clips, Magnets, Chains, Installation Poles etc. 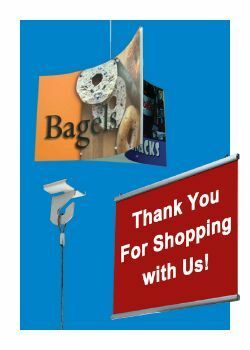 Count on Clip Strip Corp. to deliver the signage hardware components you need for communicating to your customers at retail. 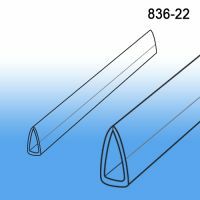 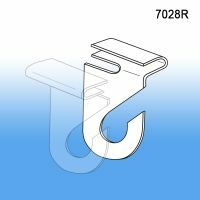 Minimum quantity for "Twist-A Ceiling Loops, TO-71" is 25. 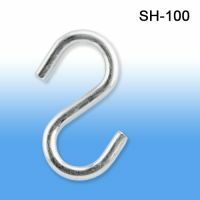 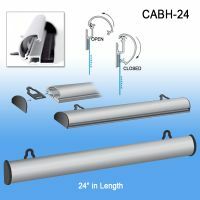 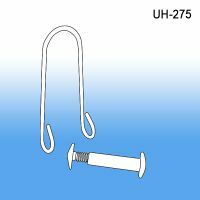 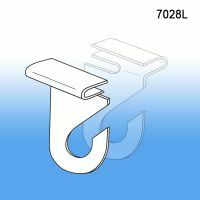 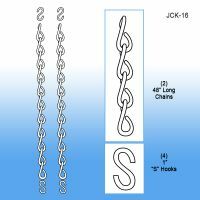 Minimum quantity for "Aluminum Ceiling J Hook, Left Angle, 7028L" is 25. 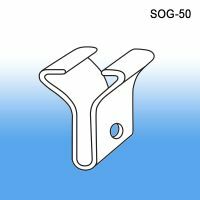 Minimum quantity for "Snap on Ceiling Grid Clip, SOG-50" is 50. 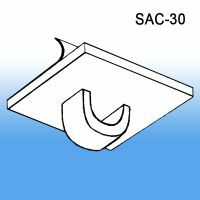 Minimum quantity for "Ceiling Loop, SAC-30" is 100. 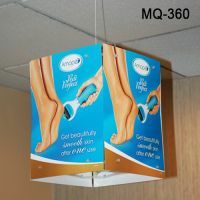 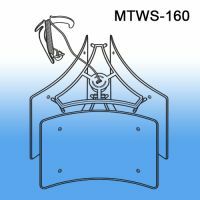 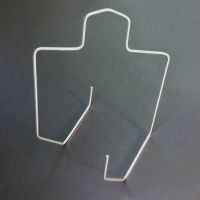 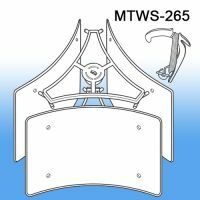 Minimum quantity for "Wire Metal Ceiling Sign Hanger, WMH-50" is 50. 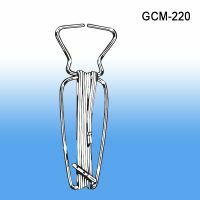 Minimum quantity for "Metal Grid Clip with Cord, GCM-220" is 50. 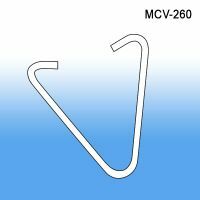 Minimum quantity for "Metal V-Shaped Ceiling Grid Clip, MCV-260" is 100. 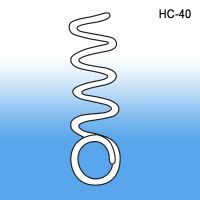 Minimum quantity for "Spiral Hanging Coil, HC-40" is 100. 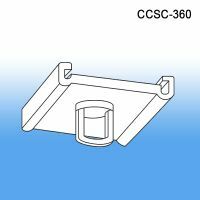 Minimum quantity for "Swivel-Loop Ceiling Clip, CCSC-360" is 50. 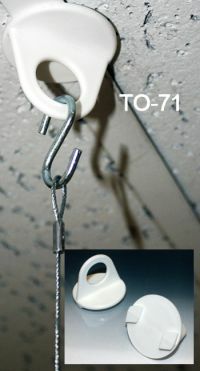 Minimum quantity for "Lok-Tite™ Ceiling Clip with 48" Cord, ELC-48" is 10. 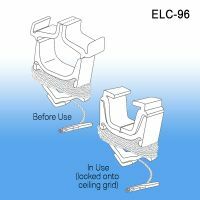 Minimum quantity for "Lok-Tite™ Ceiling Clip with 72" Cord, ELC-72" is 10. 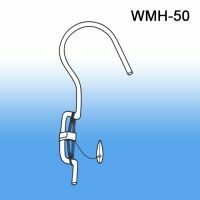 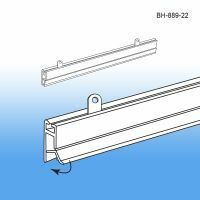 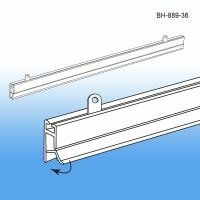 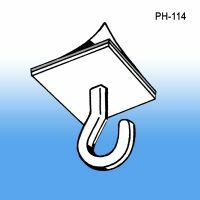 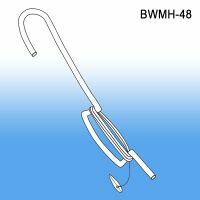 Minimum quantity for "Warehouse Ceiling Hook for Solid Beam, WWCH-90" is 5.